Ichi Sushi is Bernal Heights’ beloved sushi bar in San Francisco that was founded in April 2006 by Executive Chef Tim Archuleta and wife-partner Erin Archuleta. Since its opening, the restaurant has received several media recognitions as one of America’s top restaurants. Ichi offers sushi rolls, Japanese hot dogs, and seasonal side dishes, along with sake, wine, and beer. The restaurant was operating at 3282 Mission St. but had to move to its current location from the new year of 2017 after chef/owner Tim Archuleta experienced a significant health set-back. Dinner is served Sunday to Thursday, 5:30 PM to 9:30 PM. Friday to Saturday, 5:30 PM - 10:30 PM. · Main Menu - The main menu consists of sushi made with fish selections that rotate every day according to seasonality and availability. The raw menu offers bincho tataki, maguro avocado salad, and assorted sashimi plate. Rolls include tekka maki, avocado maki, vegetable futomaki, kappa maki, ume shiso maki, negi-hama, and umi masu shiso. Salads include cucumber salad, tsukemono, and goma-ae. The hot menu list includes miso asari clams, wagyu tataki, kasu gindara, and kama shioyaki. Main menu sides include steamed rice, edamame, and house miso soup. · Beverages - Ichi’sbeverage menu offers sake assortments like Junmai, Ginjo, Junmai Ginjo, Junmai Daiginjo, and Namazake. The menu also offers a list of shochu variations, wines, beers, and drinks like hot tea, Coca-Cola, Sprite, Diet Coke, ginger beer, and San Pellegrino. 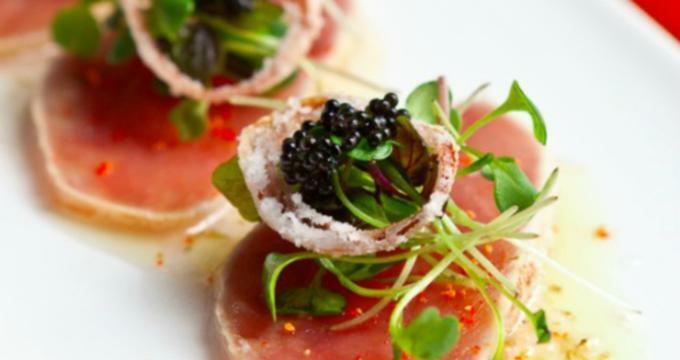 Ichi offers a lovely omakase, or the chef's choice menu, that incorporates both classic and contemporary sushi offerings by chef and owner Tim Archuleta. The chef focuses on sustainability while choosing the sushi ingredients and produces a wide variety of fresh options that are as sea-friendly as possible. Ichi Sushi's online reservation option is powered by the OpenTable application, which offers secure and instantly confirmed online reservations. The restaurant's limit for online reservations is up to 5 guests and parties larger than 5 people need to call the restaurant to make dine-in bookings. The restaurant moved from 3282 Mission St to 3369 Mission St.